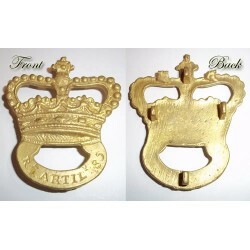 This badge is used for a cartridge box flap. There is one of these shown in the book Encyclopedia of the American Revolution. I do know that one was found at the Saratoga battlefield in New York many years ago. The back has three flat studs with holes drilled to attach to your cartridge box flap. The bottom of the badge is marked R. Artil 85. Measures 2 1/8" across and 2 1/2" high. 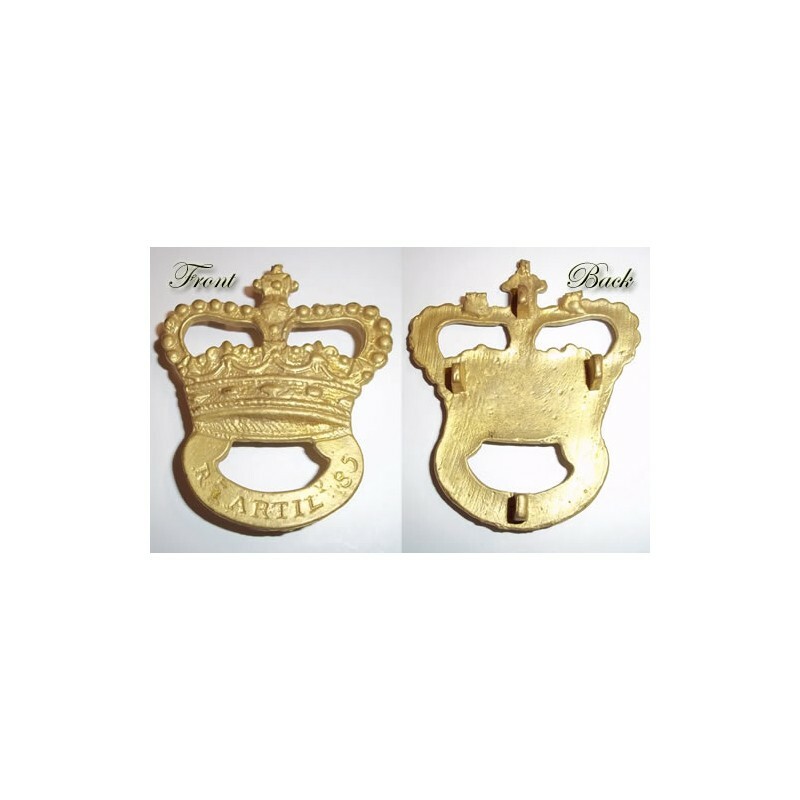 The badge is made of brass and is a reproduction.